Voice Lessons this past week were fantastic! Ranges are expanding, textures are improving, volume and intensity is growing, and most importantly, ARTISTRY is blossoming. Our voice building technique ultimately helps you sing the way you have always wanted, but don’t forget that this is not the most important thing. Your artistry - what you are communicating - and what you are bringing to life is of the upmost importance. Take another look at your music and re-read the poetry/lyrics. Breathe in the thought of the emotion or phrase, and let that emotion fill your sound and your soul. Allow your falsetto coordinated tone to be full of that emotion, and then pull a little bit of the chest coordination into the sound. Thank you all for your commitment to your voice! Keep practicing - 2 days on, 1 day off… Let me know how it’s going, and I’ll see you soon. No matter where you are, you can learn the Boulder Voice Lessons technique. In the meantime - check out a video introduction to our technique, our philosophy, and where the technique comes from. 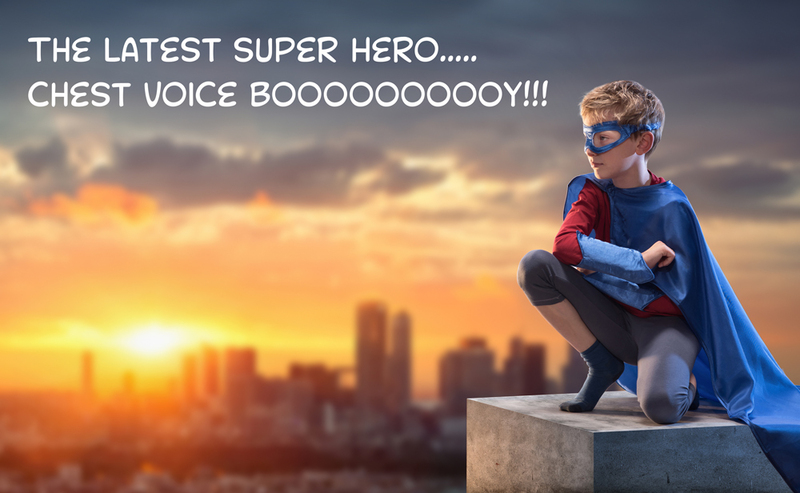 5 Tips to Sing "Better"
Boulder Voice Lessons keeps on kickin’ with this 2 minute video on How to Sing Better. Take a minute to Subscribe, Like and Comment on the video puhLease! Hey Everybody - I just rewrote my bio and thought I would share it with everyone! Check it! Joshua South, bass and lead teacher of Boulder Voice Lessons has performed with 50 Cent, Paul McCartney, Kelli O’Hara, Kelsey Grammar, Brian Dennehy, and many other world class singers, conductors and stage directors (Julie Taymor, Sir Jonathan Miller, Thaddeus Strassberger, among others) at many world class venues like Radio City Music Hall, Carnegie Hall and Lincoln Center. He has been a member of a number of world class vocal ensembles, including The Clarion Choir (2017 GRAMMY nomination for Best Choral Performance), St Thomas Men and Boys Choir, New York City Opera Chorus, New York Choral Artists, the Bard Opera Chorus, Trinity Wall Street, and has sung on numerous SAG/AFTRA major motion picture soundtracks. In the 2017-2018 season, he sang Riff in West Side Story with Central City Opera, Don Alfonso in Così fan tutte (Boulder Opera Company), Sarastro in Magic Flute (Arapahoe Philharmonic), Pandolfe in Cendrillon (Boulder Opera Company), Dottore Grenvil in Traviata (St. Petersburg Opera Cover and Boulder Symphony) and the Big Bad Wolf in Cesar Cui’s Little Red Riding Hood (Boulder Opera Company). He has performed in Brazil, Italy, Austria, and gave a 2 week recital and masterclass tour in China, with performances in Shanghai and Xiamen. Joshua has been a student of vocal technique for over 20 years and has studied with the most well respected voice teachers, vocal coaches and collaborative artists in New York City. He holds a Master of Music Degree from Manhattan School of Music. Boulder Voice Lessons is the most convenient Voice Lessons Studio in South Boulder. Students from Bear Creek, Mesa, Fairview High School, Southern Hills Middle School, Monarch High School, and Boulder High School have all grown increased range, breath control, and volume with the vocal technique that we teach here at Boulder Voice Lessons. Singing Lessons Near Me might be one of the most important aspects of an UNschooling, or home schooling curriculum. I’m Joshua South, lead teacher for Boulder Voice Lessons, and I’m here to help. I received my Master of Music Degree from Manhattan School of Music, and have studied with some of the Best Voice Teachers, Conductors, and Pianists in New York City. We could create a world class music program for your home schooling students or home schooling groups. A two day per week - 1 hour class will allow your students to learn world class techniques and music theory that will give them abilities and confidence to step out on stage, the debate hall, and eventually the board room. I offer Professional Voice Lessons to all ages… Kids, Young Adults, Couples working on a Wedding Duet, Moms, Dads, and ALL Individuals are welcome here! You CAN become a great singer – I can show you how! It feels like Winter in Colorado, but it’s still Autumn in New York! Voice Lessons teach you how to make these sultry, smoky, deep and jazzy tones, so schedule a lesson and I’ll learn ya! CYBER MONDAY SALE: Sign up for 5 Singing Lessons, and get one Voice Lesson for FREE. There was a caped little boy that danced about his family home, singing at the top of his lungs. No vocal technique to speak of, but it was fun. Meanwhile across town, there was a little girl singing in her church choir, belting out tunes with the rest of the choir in unabashed, unrestrained, yet beautiful and harmonious singing tone. In another land, a mother spoke in her dulcet Julia Child like - falsetto toned voice. She urged her fidgety red-headed children to eat their eggs before school. She had been talking like this for as long as anyone could remember. The little boy and the little girl spoke and sang in a chest voice dominant way and started studying Voice Lessons, but quickly realized there was a (w)hole part of their voice they had forgotten about... The falsetto. The mother of the redheaded children took Voice Lessons and quickly realized that she had absolutely no chest voice. Their voices grew and grew, and they sung happily ever after. Thankfully, their teacher is also available to you, here in Boulder, and across the world (via the magical inter-webs)! Joshua South, lead teacher at Boulder Voice Lessons has sung with some of the world’s most famous singers at the world’s most prestigious venues. The vocal technique he teaches is the real deal. What are the tools YOU need to get there? Sign up for a voice lesson and begin your Singing Lesson Journey today. Them’s some good words to live by. I don’t know why, but public speaking has always been my public enemy number one. Give me a script, or give me something to sing, and I’ll do it in front of 1 million people. I like to be well rehearsed and I like to be prepared, but if it’s talking off-the-cuff or trying to charm an audience, that is something I’m usually not well equipped to do. So, in the thrill of doing something every day that scares you, I jumped at the chance to emcee a local opera highlights production in Boulder. Oh technique, how I love thee, let me count the waves. Technique is magic. Whether you are learning to tie your shoes or play a Bach fugue on the piano, if you work on it today, you will have visible improvement tomorrow. This is why parents want their kids in piano lessons. Back to me being scared… So just like learning an opera role, I sunk my teeth into this emcee thing and pulled it off, I daresay, with Doogie Houser-like fashion! If you or your little one want to conquer the world, start your piano lesson or singing lesson journey with Boulder Voice Lessons right now. Just think of all the great things will be able to do with your new skillz. First Lesson is 50% off!!! Returning students first lesson is 50% off! We've gone over breathing exercises. We've found our True Voice.